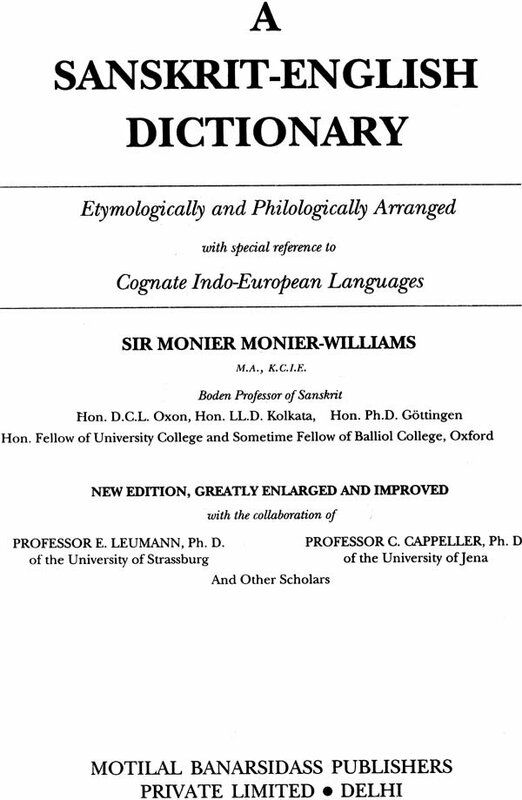 Sir M. Monier-Williams had first published his English-Sanskrit Dictionary in 1851. Subsequently, he embarked upon this Sanskrit-English Dictionary, with the primary object of exhibition, by a lucid etymological arrangement, the structure of the Sanskrit language, the very key-stone of the science of Comparative Philology. 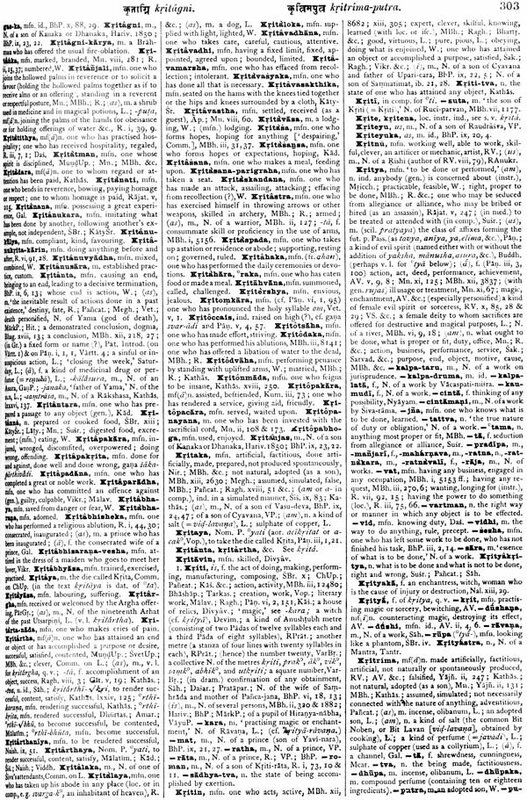 The first edition of this Dictionary was completed in 1872 in about twelve years. This is the new Edition (1899), greatly enlarged and improved in the light of criticisms for and against the first edition, numerous printed Sanskrit texts and Works and especially the three Indian journeys the author had undertaken. Though all lexicographers have to rely on the work of their earlier compeers, Sir Williams's work is unique and original in its plan and execution, the utility of which is seen in its repeated reprints. This is not a mere aggregation of words and meanings but the fruit of a colossal industry and experience with the actual treaties in the original language on a number etymologically and philologically with special reference to cognate Indo-European languages. The author refers to several authors and extant works. The work includes well over 180000 words. 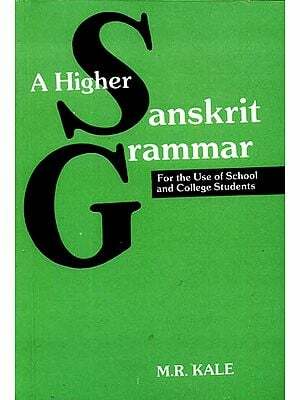 This invaluable thesaurus serves far too well the needs of researchers and lovers of Sanskrit. There is an elaborate and informative Introduction detailing the inception and progress of this huge task, successfully completed with the collaboration of devoted scholars like Prof. E. Leumann, Prof. C. Cappeller and others. 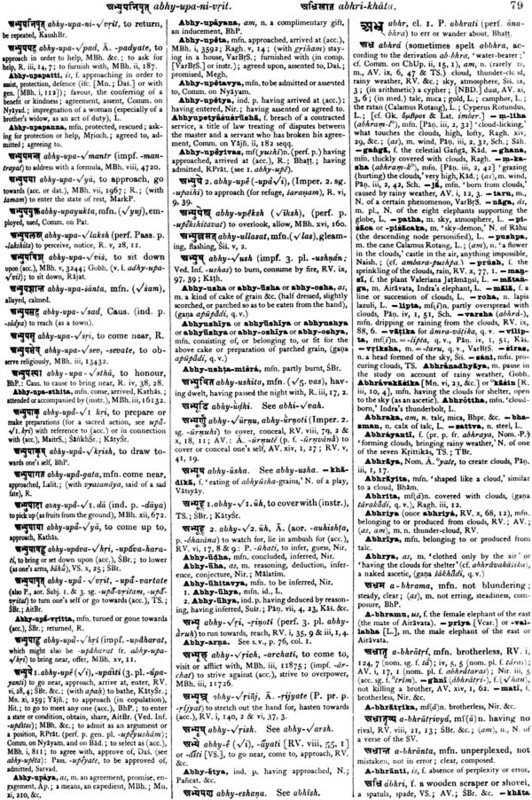 THE first edition of this Dictionary had the advantage of being published by the Delegates of the Oxford University Press, with the support of the Secretary of State for India in Council. The present greatly enlarged and improved work enjoys the same privileges. The first edition appeared in the summer of 1872. The extent of its indebtedness to the great seven-volumed Sanskrit-German Thesaurus compiled by the two eminent German Sanskritists, Otto Bohtlingk and Rudolf Roth, with the assistance of many distinguished scholars, such as Professor A. Weber of Berlin-then only completed as far as the beginning of the letter v-was fully acknowledged by me in the Preface. Having regard, however, to the entire originality of the plan of my own work, I did not venture to describe it as based on the great Sanskrit-German Worterbuch. For that plan I claimed to be alone responsible. Every particle of its detail was thought out in my own mind, and the whole work was brought to completion by me, with the co-operation of five successive assistants-whose names were. duly recorded-in about twelve years from the date of my election to the Boden Professorship in the University of Oxford. The words and the meanings of the words of a Dictionary can scarcely be proved by its compilers to belong exchsively to themselves. It is not the mere aggregation of words and meanings, but the method of dealing with them and arranging them, which gives a Dictionary the best right to be called an original production. In saying this I am not claiming any superiority for my own method over that of the two great German Sanskrit scholars-which, of course, has advantages of its own. Nor am I detracting one whit from the tribute of admiration which I and other lexicographers are always desirous of rendering to the colossal monument of industry and scholarship represented by their work. I am merely repeating my claim to the production of a Sanskrit-English Dictionary on a wholly unique plan-a plan the utility of which has been now proved by experience. It was not thought desirable to print off more than a thousand copies of the first edition of my book. These-notwithstanding the necessarily high publishing price-were sold off in a few years. 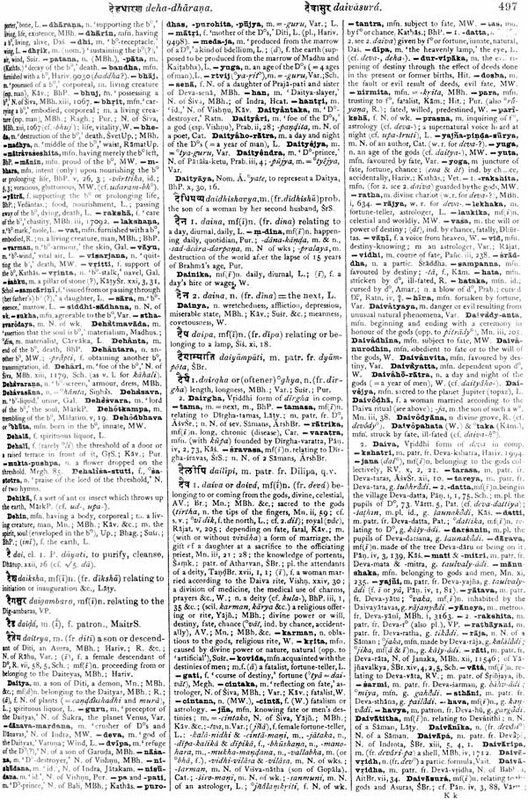 It then became a question as to how the continuous demand for the Dictionary was to be met, and the Delegates decided to provide for it by a supplementary facsimile edition. produced by a photo- lithographic process.' Copies printed by that process have been procurable ever since. of course I was well satisfied with the factual evidence thus afforded of the practical utility of my Dictionary, and the more so as, along with many eulogistic reviews and notices, it met with some adverse criticism, especially at the hands of German Sanskritists. Not that such criticisms discouraged me. On the contrary, as soon as I became aware of the likelihood of my volume becoming out of print, I set about preparations for a new edition on the very same general plan, although with an earnest determination to improve the original work by the light of such critical animadversions as seemed to me to be pertinent. And I must at once acknowledge that in these efforts I received valuable suggestions from Professor Ernst Leumann of the University of Strassburg, who was my first collaborator at an early stage of the new undertaking (see p. xxxi). It ought, however, to be put on record that, even before Professor Leumann's co-operation, I had made the discovery that the great increase in the number of printed Sanskrit texts and works bearing on Sanskrit scholarship, since the issue of my first edition, would entirely preclude the idea of my producing a mere "rechauffe ' of my former volume, with additions, however numerous, introduced from my own interleaved copy and the contributions of fellow-Sanskritists. It would necessitate the re-writing of the whole from be- ginning to end-a formidable task,' tantamount to the production of an entirely new Dictionary. This task I began to put in hand alone at least twenty years ago, and it is only due to the authorities at the India Office, under whose auspices this work was inaugurated, and with whose assistance it has been printed, that I should explain the causes which have led to the unexpected delay in its publication. In real truth I am bound to confess that I entered upon my third lexico- graphical career with a little too magnificent audacity, and a little too airy hope- fulness, at a time when my energies were severely tried, not only by my ordinary duties of lecturing in Sanskrit, but by other collateral activities. Amongst the latter it may be mentioned that I had devoted myself to researches into Indian religions and philosophies, for a series of public lectures before the University, which I felt bound to give in my capacity of Boden Professor. 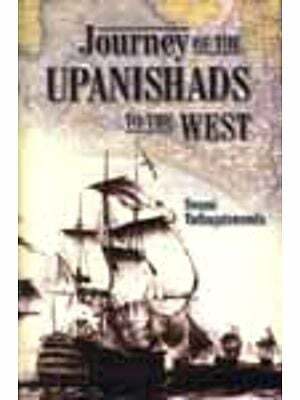 And I certainly could not have ventured to carryon these researches -much less to have printed them in various books as trustworthy -if I had not gained a 'first-hand' knowledge of my subject by placing my own mind in direct touch with the mind of the learned natives of India in their own country. It was for this and other cognate reasons 2 that-with the consent and approbation of two successive Vice-Chancellors, and at my own expense-I under- took voyages to India on three several occasions (in 1875-6, 1876-7, 1883-4), and extended my travels from Bombay to Calcutta and the confines of Tibet- from Cashmere to Madras and the extreme South, including the chief homes of Buddhism in the island of Ceylon.
. On each occasion. I was cordially assisted by the Governor-General and local Governments of the day 1. On each occasion, too, I found scattered throughout vast areas old fellow-students and pupils of my own administering immense pro- vinces, and eager to help me in my investigations; and on each occasion I met to my surprise with learned and thoughtful natives-not only in the cities and towns, but even in remote villages-able and willing to converse with me in Sanskrit, as well as in their own vernaculars, and to explain difficult points in their languages, literatures, religions, and philosophies. It may well be believed that these Indian journeys were of great value in extending. the horizon of my own knowledge, and increasing my power of improving the Dictionary, but it must be confessed that they interrupted its continuous prosecution. And, in very deed, the intermittent character of my latest lexicographical career would have made its completion during my life-time almost hopeless, had I not been ably aided by successive assistants and fellow-workers, whose co-operation is gratefully acknowledged by me subsequently (p. xxxi); that of Professor C. Cappeller having extended over far the larger portion of the work. And this is not all that I have to urge in extenuation of my apparent dilato- riness. A still more unavoidable cause of delay has been the unlooked-for amount of labour involved. This is fully explained in the Introduction (see p. xvi), but I may briefly mention here that it has consisted in adding about 60,000 Sanskrit words to about I 20,ooo-the probable amount of the first edition; in. fitting the new matter into the old according to the same etymological plan; in the veri- fication of meanings, old and new; in their justification by the insertion of references to the literature and to authorities; . in the accentuation of nearly every Sanskrit word to which accents are usually applied; in the revision and re-revision of printed proofs; until at length, after the lapse of more than a quarter of a century since the publication of the original volume, a virtually new Dictionary is. sent forth. It would, of course, be unreasonable to look for perfection in the result of our combined efforts. The law of human liability to error is especially applicable to the development of a new method of any kind. Nor are the imperfections of this volume ever likely to become better known to the most keen-sighted critics than they are to the compilers themselves. It is said of the author of a well-known Dictionary that the number of mistakes which his critics discovered in it, were to him a source of satisfaction rather than annoyance. The larger a work, he affirmed, the more likely it was to include errors; and a hypercritical condemnation of these was often symptomatic of a narrow-mindedness which could not take in the merit of any great per- formance as a whole. Without having recourse to this convenient way of discomfiting critics of the Chidranveshin type, and without abating one iota of justifiable confidence in the general trustworthiness of the present Dictionary, its compilers can yet be keenly alive to its thoroughly human character. Speaking for myself I may say that blended with my thankfulness for the longevity that has enabled me to see a protracted undertaking brought to a com- pletion, is a deep consciousness that I am not young enough to consider myself infallible. Indeed it is at once the joy and sorrow of every true scholar that the older he grows the more he has to confess himself a learner rather than a teacher, and the more morbidly conscious he becomes of his own liability to a learner's mistakes. From all true scholars I do not fear, but court, criticism.. Such critics will understand how a sense of responsibility may increase with advancing age, putting an author out of conceit with his own performances, and filling him with progressively intensified cravings after an impossible perfection. They will make due allowance for the difficulties besetting the production of so many densely printed pages, often comprising column after column of unbroken serried type, and abounding with countless dots and diacritical marks. Nor will they be surprised at occasional inequalities of execution in a work representing efforts spread over numerous years. Nor will they need to be reminded that occasional distractions, trials of health and weariness of spirit are unavoidably incident, not only to the responsible head of a prolonged undertaking, but to his several assistants. indeed it is no disparagement to those who have contributed to the detail of this work to admit that a com- pilation, which is the result of the collaboration of so many different personalities, must in some degree reflect the idiosyncrasies and infirmities peculiar to each. Yet notwithstanding my desire that due weight should be given to such considerations, I may be pardoned if I express my confident expectation that the volume now offered to students of both Sanskrit and comparative philology, will supply them with the most complete and useful one-volumed Sanskrit-English Dictionary ever yet produced - a Dictionary, too, which in its gradual progress has, I trust, kept pace with the advancing knowledge and scholarship of the day. At all events I feel sure that I may affirm for my collaborators, as well as for myself, that we have earnestly striven to secure for this new volume, even more than for the old, the possession of four principal characteristics, namely:- I. Scholarly accuracy; 2. Practical utility; 3. 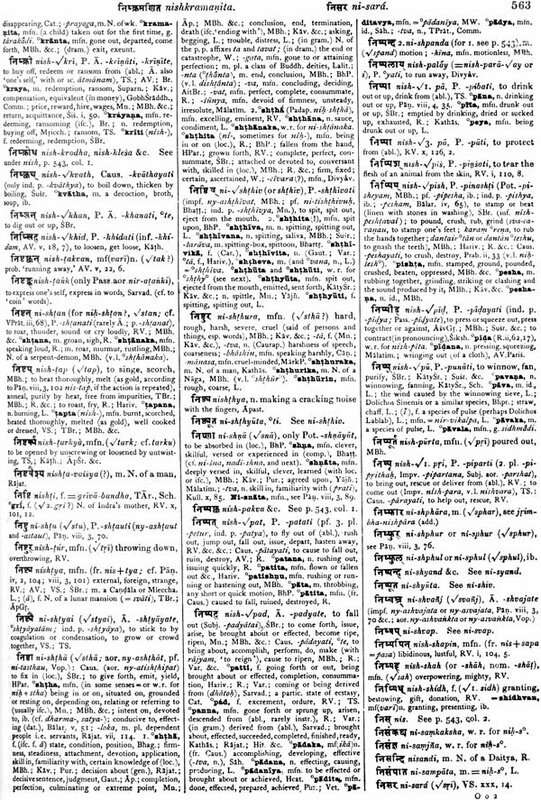 Lucidity of arrangement, designed to set forth, as clearly as possible, the etymological structure of the language, and its bearing on that of the cognate languages of Europe; 4. 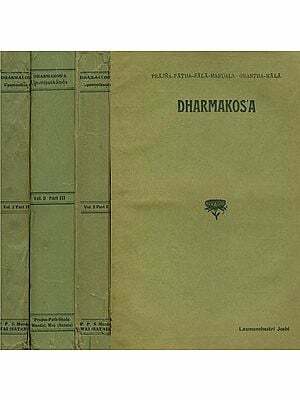 Completeness and comprehensiveness, at least to the fullest extent attainable in the latest state of Sanskrit research, and to the utmost limit compatible with compactness and compression into a single volume. And here it is my duty to notify, in justice as much to my assistants as to myself, that I must be held primarily responsible, not only for the plan, but for the ,general character of the whole Dictionary. This will be understood when I state that I have from the first exercised a strict superintendence over the details of both editions-not only in carefully supervising the manuscript, but in adding new words, in modifying or amplifying meanings, in subjoining explanations from my own literary notes-made during my sojourning at the chief seats of learning in India-in examining and re-examining every proof-sheet. I ought to state, however, that during occasional attacks of illness I have been compelled to trust more to my collaborators than at other times 1; and I must also make an exception in regard to the Additions, the abundance of which is justifiable by the circumstance that many of them are taken from texts and books published quite recently. F or although a manuscript list of all the words and meanings in the supplementary pages was submitted for my approval, and although many words in the list have. been eliminated by me, while others have been added from my own notes, yet the necessity for passing the worst winter months in a Southern climate has made it impossible for me to have at hand every new book needed for the verification of every addition which I have allowed to be retained. With regard to a strictly personal criticism in which. I have for many years been content to acquiesce without comment, I may perhaps advantageously-now that I have nearly arrived at the end of my career-make a brief explanation. Some of my critics and a few candid friends have expressed surprise that I should have devoted so much of my long tenure of the Boden Professorship to the dry, dreary and thankless drudgery of writing Dictionaries and Grammars, and to practical researches carried on among the Pandits of India in their own country, rather than to the duty of proving the profundity of my learning and my fitness to occupy a high Professorial position by editing or translating obscure Sanskrit texts which have never been edited or translated before. In explanation I must draw attention to the fact that I am only the second occupant of the Boden Chair, and that its Founder, Colonel Boden, stated most explicitly in his will (dated August IS, 18II) that the special object of his munificent bequest was to promote the translation of the Scriptures into Sanskrit, so as 'to enable his countrymen to proceed in the conversion of the natives of India to the Christian. Religion 3.' It was on this account that, when my distinguished predecessor and teacher, Professor H. H. Wilson, was a candidate for the Chair in 1832, his lexicographical labours were put forward as his principal claim to election. Surely then it need not be thought surprising, if following in the footsteps of my venerated master, I have made it the chief aim of my professorial life •to provide facilities for the translation of our sacred Scriptures into Sanskrit and for the promotion of a better knowledge of the religions and customs of India, as the best key to a knowledge of the religious needs of our great Eastern Dependency. My very first public lecture delivered after my election in 1860 was on 'The Study of Sanskrit in Relation to Missionary Work in India' (published in 1861). For the rest, I have already alluded to the advantage which this Dictionary has derived from the support of the Governments of India, and I ought here to acknowledge with gratitude that, without the subsidy granted by successive Secretaries of State in Council, the present volume could not have been sold to the public at the price at which it is now offered. In regard to the Oxford University Press it will be sufficient to say that this volume adds to the countless evidences of its efficiency and of the wealth of its resources. But I may be permitted to congratulate its Delegates and Controller on their good fortune in possessing an unrivalled Oriental Press-reader in Mr. Pembrey. For more than forty years he has read the final proofs of all my books; and I can from my own experience, and without exaggeration, affirm, that I doubt whether anyone can surpass him in the perfection to which he has brought the art of detecting errors due to the inadvertence of both authors and printers. It is only necessary for me to add that having been alone responsible for the singularity of the plan of the original Dictionary, I thought it desirable to prefix to the first edition several sections of introductory explanations. In the same way ,my supremacy in the production of the present new work necessitates my undertaking the responsibility of writing a new series of explanations, in which I have deemed it desirable to pursue the main lines of my previous method, and not to discard any portion of the old matter which could be advantazeouslv retained.